Deleted, renamed, or moved by accident? Click on the View tab then click the button for Apply to all folders. Then click Yes to confirm and then click OK.
Did you know that you can use your mouse to "box up" a selected group of files all at once? All you have to do is first click in anywhere there is a blank spot. (This ensures that there are no files already selected). Then click and hold your mouse starting at the bottom file (just to the right of the file so it will start in the white area) and drag up and to the left to the top file you want to capture. This will create a box around the group of files and select them at the same time. If you moved, renamed, or even deleted a file by accident, before you do anything else, press Edit, Undo. Or you can use the keystrokes Ctrl+z. You'll be saved from the problems you may have encountered. Rename the folder if desired. This will only rename the shortcut to that folder, not the folder itself. In a windows explorer, in the upper left section there are links. These are links to your favorite folders that you go to frequently. A quick access to those folders. Win10 Click on the words Quick Access. 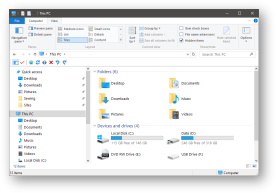 Win7 On the opposing side of showing your Favorites Links in a windows explorer (taking up valuable space), you can make them "hide"
On the left side, put your cursor in the middle of those 2 areas of the directories on the bottom and the Favorites on the top. You'll see your cursor turn to an up/down arrow. Drag the folder you're at down the to explorer icon on the taskbar and it will automatically pin to the top of the list and never disappear. Want to select every file in a folder but one? Or every one but two or three? Windows Invert Selection command takes the tedium out of file selection. With a folder window open, select the file(s) you don't want, then pull down the Edit command and choose Invert Selection. When you let go, everything that wasn't selected now is, and the files (or file) you had selected are left out completely. The Invert Selection command is available in any Explorer window, too. Just select the files you don't want in the right pane, then choose Invert Selection under Edit to reverse your selection. You already know you can put programs and documents in your StartUp folder to launch things at Windows startup, but you can also put folders in there. Just follow the normal procedure: Right-click on the Start button and select Open, double-click on the Programs folder, then the StartUp folder. Now drag the folder of your choice into the StartUp window. Next, in the file explorer, click on the OneDrive folder on the left side. 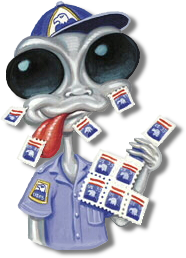 Then right click on that folder and put the check in the box for Hide (at the bottom). You will need to reboot the computer for the changes to take effect. If you have the keyboard that has the Windows key (in between the control key and the alt key), then all you have to do is press the key combination of Windows key and E. This will open an explorer at the root directory. Do it as for as many windows open as you want. 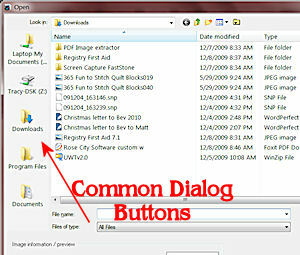 Works great for any other program you can have more than one instance of the program open, like Notepad. Double click on a columns double arrow to "make it fit" to the longest needed length. 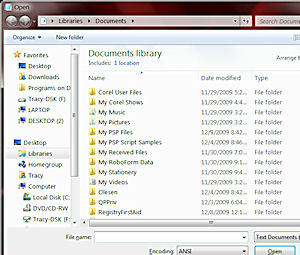 In Explorer, you can select all the files rather quickly. Just click on the directory you want, then press Ctrl+A. Now they are all highlighted. When would you use this? Well, I copy all my tips files to a floppy disk periodically. They are all in the same directory with no other files. Quickly I can select all and drag & drop to the floppy drive. I don't right-click and drag because when you drag from one drive to another, it automatically does a copy. When you open an Explorer and click on a folder, you get the size of the contents of that folder, but not the entire size. What about including all of the sub-folders? Well, open an Explorer. Right-click on the directory in question and select Properties. A dialog box will open and it will tell you how many files, folders, and the total amount of all files, including all of the sub-folders, in that directory. When you click on the column title, that column will sort from A-Z (or lowest number to highest). If you click on that column title again, it will sort in reverse from Z-A (or highest number to lowest number). 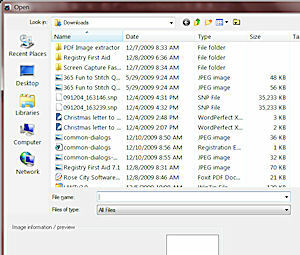 This can be helpful when looking for certain types of files, such as .log, or .doc, .wpd or any other file type. Also if you're looking for the most recently used file in any given directory. Hold the SHIFT key down and click on the column title of the secondary sort column you want. That's it. All sorted by your first choice, then your second choice. When you open a windows explorer, you're likely to see several links on the left side. On the left side, if you don't see the C: drive and the other drives, at the bottom on the left side, click on the up arrow at the end of the line for Folders. This will slide up the folders list so you can see the drives. You can then resize the 2 sections (the links at the top and the folders/drives at the bottom). By putting your cursor in the middle of those 2 areas, you'll see your cursor turn to an up/down arrow. When you see that, click and hold then drag up or down...depending on what you want to see more of. To get the up/down cursor, you'll just have to move the cursor around in that area up and down until you actually see the cursor change. Repeat procedures for the Saved Pictures folder. Close File Explorer and open again and you'll see that they are no longer viewable. You can get it back this way, but you need to have Classic Shell installed. On the Navigation tab, the 2nd item is there for Show horizonal scrollbar. Enable it ! After you create the key, right click in a blank area and choose New, DWORD and call it Place0. You can have 5 strings in there: Place0, Place1, Place2, Place3, and Place4. To add a path to a specific folder, such as C:\Graphics\CD\Landscapes.